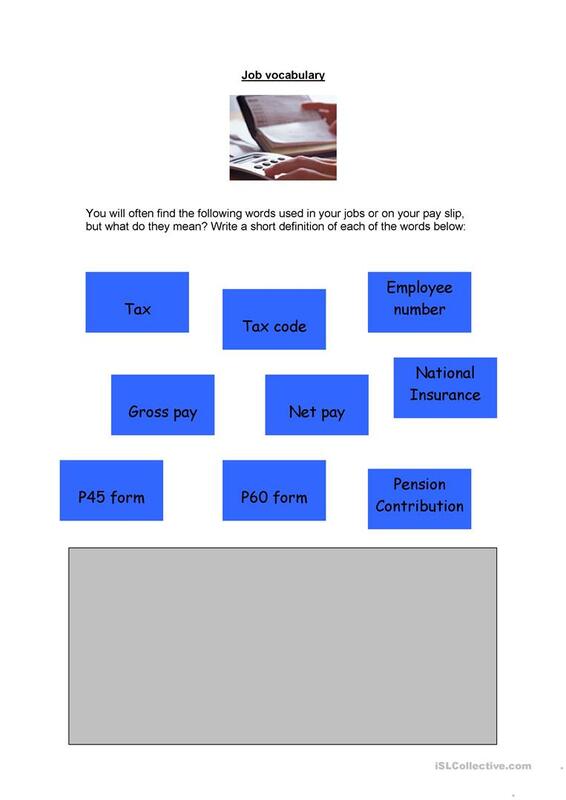 A worksheet designed to help students to better understand their pay slips and such things as tax and national insurance. The students write a defintion of each word and then the teacher guides the students as to what the words mean. This printable, downloadable handout was created for adults at Intermediate (B1), Upper-intermediate (B2) and Advanced (C1) level. It can be used for honing your class' Reading and Writing skills. It is focused on the vocabulary topic of Jobs, work.